Have you ever hit Friday night, sat down and realize you don’t remember anything about the past week?Â Today we went to Mass, then to lunch and on to visit a friend’s house. Yesterday I prepared for the Feast of the Annunciation and the rest of the week is a blank, really. We concentrated on religion and preparing for the Feast of the Annunciation. We did coloring pages and read from the Gospel of St. Luke.Â On other topics, Karol has been reading and seems to understand quite a few of the big words he is working through. Margaret has been working with Papa on her reading lessons and is doing a great job. Today we played with friends and had a good time. This coming week, there isn’t much going on, so we will play it by ear. I have a HS conference next weekend and I am looking forward to it. Having the three older kids sitting around the table yesterday, listening patiently while I read from the Gospel of Luke, eyes on me. Normally we do one on one activities, so this was the first time. Caecilia also participated in the activity, a first for her, awesome! We are doing the same thing we have been for a few weeks now, staying consistent and making sure that we cover one subject, if not more a day. My kids ask to do school work all.the.time and that makes me so very happy, I hope they always do. I spent a good amount of time adjusting to DST. I have a hard time with that, do you? I think I finally am adjusted. 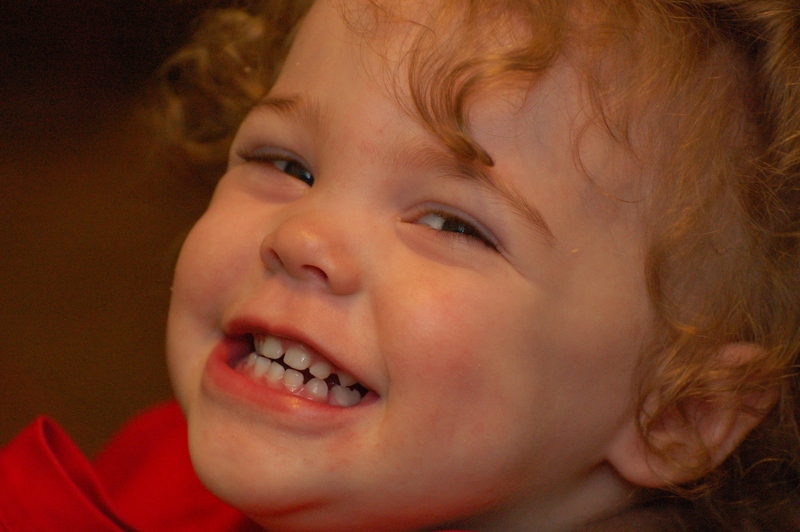 I am dealing with a strong willed two year old too, and that hasn’t helped. Coffee hasn’t worked either!!! In other news, our little green car is dead. We have had it for eight years and it has served us well. We have put quite a bit of money in to it over the past three years and with this last repair, it is just time to replace it.Â We were looking at used, but realized the used car market is pretty expensive and we can buy a new one for the same price, or close to it, so we are praying about that right now. We focused on Karol mostly, because I want to finish Kindergarten before the end of Lent so we can celebrate the Resurrection and take a break for a few weeks after that, before we begin first grade! Tomorrow is clean up day at the K of C Hall and I know Joshua is going. He is talking of having the whole family go, I am not sure about that. I might have Karol go with him. We are thinking of doing a tour at the Okefenokee Swamp, but I am holding off to see if Kroger has a better sale next weekend. (Waycross has the closest Kroger to us and I do love Kroger, so if we go to a town that has one, I stop and shop. )Â I am making Karol an eye appointment, as one of his eyes sometimes looks like it is not in line with the other. He doesn’t seem to have any problems, but better safe than sorry. I have read that Southern Mamas do schooling in the summer time because it is just too darn hot to be outside. I plan on doing that this summer with Karol for first grade work. We have a big trip coming up in August, so I will take time off for that (well, from book work, we will do on the road education then) but I figure for the rest of the summer months, we will just plug along at school work. was average. We had a pretty normal week this week. We finished up a round of colds and began our celebration of Lent. We attended Mass and received our ashes. We have been working with the kids on the penitential natureÂ of Lent. They are learning about sacrifices and doing without. We had friends over one day, something I always enjoy. The kids get to play and I have adult conversation. we have worked on reading. Karol has made leaps and bounds with reading. It is one thing to be able to read sentences but it another thing to understand what he is reading. This week I started asking him the meaning of what he had just read and he has been able to tell me the meaning, without using words in the sentence. This week will be pretty laid back, not much going on as of this point, we shall see if anything comes up. I may call a friend to see about getting together to play. the beginning of Lent. Without Lent, we cannot have the Resurrection. Penance, sacrifice and hard word are good for the soul. Continuing to work slowly and without distraction of the two year old variety has helped productivity. I look forward to the conference I am attending in a few weeks, one of the talks will be about homeschooling different ages at different times so I hope to pick up tips from there. Two questions today: 1. If you have an ants in the pants child, who always wiggles in his seat and stands up, sits down, stands up sit down, how do you handle it? 2. When Karol works on math problems, he will often times come up with the answer, but tell me before he writes it down, to see if it is a correct answer. I am thinking of just having him write down the answer,Â without my input, to learn to deal with incorrect answers, but I wondered what other mothers did in the situation. For more journals, check here! Was a nice week. 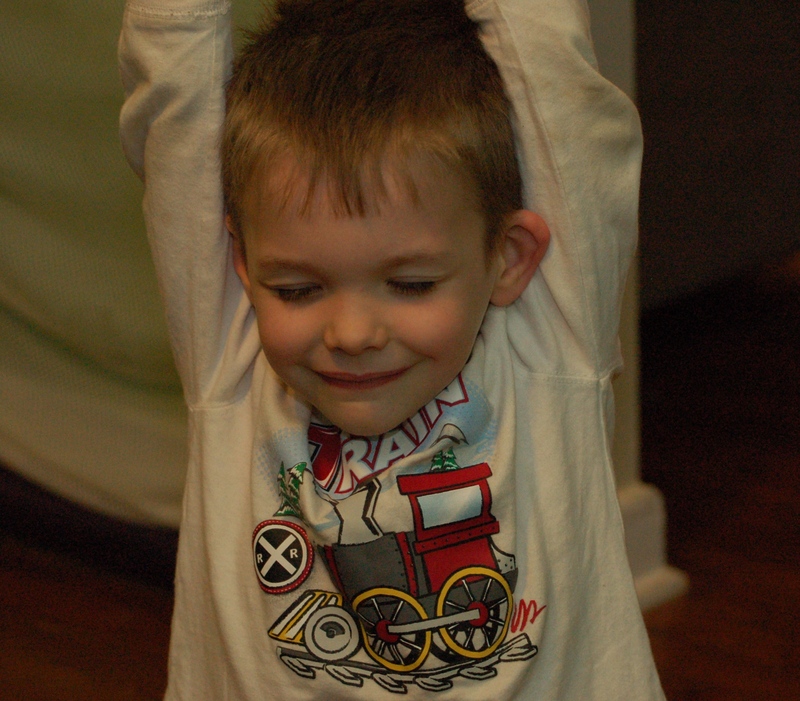 We watched a friend’s son two times this week, so she could go to the Chiro. She visited before and after and we talked quite a bit. She is an Air Force wife and a transplant to South Georgia, as are we, so we have that in common. She is also interested in starting a co-op too, and I am excited about that. We pulled out the math book again and guess who figured out odd and even numbers? Yep, Karol. I think the key to it was, first not pushing the issue but I also wrote down odd and even numbers on two sheets of paper and hung them up on the wall. He was able to look at those during meal time and when doing things at the table, so it sunk in a bit. We also worked on months and days of the week this week. Karol and Margaret are both very interested in “Days that Papa goes to work”, so we talked about those days a bit and spent a lot of time talking about Sunday and what we do on Sundays. This past week was full of visiting and seeing people. This coming week starts Lent, so on Wednesday, we will be attending Mass and receiving our ashes. I hope to be able to attend stations of the cross too this week. Honestly? Getting the vacuum back from the repair shop. We have all hardwood, with some tile thrown in, but I vacuumed like a fool today! The not rushing things, getting a little bit done each day, taking random moments and making them teaching moments. I am thankful that my husband and I are on the same page about homeschooling and have been since the first moment we talked about it (before being engaged). 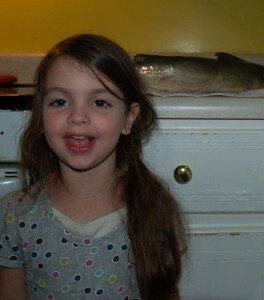 Notice her big fish in the background! Also, notice her expression “Take the darn picture”. We had BEAUTIFUL, BEAUTIFUL weather. We did a lot of outdoor activities, park, bikes, sand piles, and just general running around the yard. We stayed home all week, but we didn’t need to go anywhere as we have the park in our backyard and the driveway to run around and ride bikes on. Oh, we mustn’t forget the tree they love to climb. Yesterday Joshua and I went out to our parish to attend a meeting about planning the future of our little country parish. I am very excited about the future there!Â When convent, adoration chapel, choir loft and a few other awesome things are discussed as things wanted in the future, heck yeah, we have found home! Oh, let’s see here, we put the math book away for the week. We did a lot of science this week. Bugs, flowers, Space Shuttle launches, and home made ricotta cheese make for excellent science lessons. I also added to our family library with two new books for Karol. Oh my, he loves reading books and sat on the couch, reading to himself, for almost an hour. I also found a floor puzzle of the United States. Man, is that thing cool. I loved watching the kids figure out how to put the pieces together. We have a birthday party this weekend, woohoo! Next week we are having a friend over to play. Oh, we are going fishing on Sunday! Watching Karol and Margaret share and ride the bike on the driveway. It is even better when Karol rides with his eyes closed! Oh, yes and Margaret picking tall blades of grass for me and all our visitors. Working for us is being much more laid back and not pushing so much. Karol is just five, he doesn’t need to know everything all at once, right? 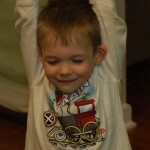 Have I mentioned that with homeschooling, there is no rushing around in the morning. Ahhh. 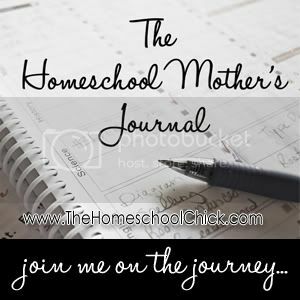 For more Journals, check out Sue, The Homeschool Chick. In my life this weekâ€¦Was nuts! We were here, there and everywhere. No, really, we had lots of things to do and seemed to be in the van quite a bit. Good things though! 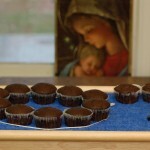 In our homeschool this weekâ€¦was more of a student lead program this week. This is what I love about homeschooling. When things get crazy and we aren’t able to sit down and do school work, we are still able to teach and my kids are still able to learn. Karol spent a lot of time out side this week, with Margaret at his side. He also has been reading on his own. I will often times find him sitting with a book sounding out words to himself. Places weâ€™re going and people weâ€™re seeingâ€¦this week we will hopefully be calmer. I think I am going to schedule a field trip to the fire department. We may also do story time at the library if there is one available. My favorite thing this week wasâ€¦ watching the two older kids putting their artistic skills to work by drawing all over the driveway. Whatâ€™s working/not working for usâ€¦working for us is afternoon/evening schooling. Wow, what a difference it makes when we work on things when Caecilia is down for a nap. She is a great kid but wants to be in the middle of everything, including schooling. We do a lot of make believe games in the morning, before lunch to engage her. Homeschool questions/thoughts I haveâ€¦none…just that I am so glad we homeschool and are able to do things when we are on the go! A photo to shareâ€¦I donâ€™t have one this week, but I promise one for next week….er, next week. In my life this week…was a bit crazy, I think. I have such vague memories of it. I remember cleaning, teaching, and taking care of the kids, of course. We did not go out to eat this week at all. I made pork chops on Monday and they were pretty darn good, and I loathe pork chops (or any form of pork that isn’t bacon, sausage or ham). 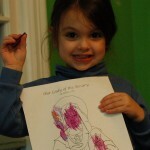 In our homeschool this week…we started a new math book for Karol. He can count items up to twenty now and rocks at figuring out which numbers are missing in a sequence…he did that one his own. For reading, he is working very hard and reads all the time. Margaret read her first word “me” yesterday. Her eyes lit up like I have never seen before when she did. We are using “Teach Your Child to Read in 100 Lessons” and for both kids, it works beautifully. Art class was coloring both outside, with chalk and inside they drew angels along with a million other pictures. Margaret is working on identifying numbers and is up to 7. She can count up to twelve without messing up but doesn’t know what the numbers look like, yet. Places we’re going and people we’re seeing…we have spent a lot of time outside this past week, but haven’t gone anywhere. They have a lot to explore back there and the backyard is like a huge sandbox, so they have many things to occupy their time. 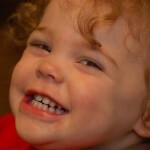 My favorite thing this week was…Hearing Margaret read her first word and seeing the look on her face! Also having kids who BEG to do schoolwork. Tonight Karol asked if he could work on a poem we have been reading together. He read it all by himself with two mistakes only; “behave” and one other one. You have to admit, “behave” is a hard word. What’s working/not working for us…I will admit I am very bad at lesson planning and keeping on track. Some days I just don’t want to do this either. I know I am called to do this, so Joshua and I have discussed it and have decided to go with a much more detailed program for First Grade. We are pretty settled on Kolbe Academy and will purchase the curriculum soon. What is working is doing school work either at two in the afternoon, while the younger two are napping or in the evening when Papa is home. He does the reading lessons with them and I do everything else. How do you deal with discipline issues when a child doesn’t want to do his work? We don’t come up with this often, yet, but sometimes Karol or Margaret get frustrated or distracted or just want to do a different kind of schoolwork and I am not too sure how to handle it. A photo to share…I don’t have one this week, but I promise one for next week. Here are some pictures (with captions) from today’s Feast party. 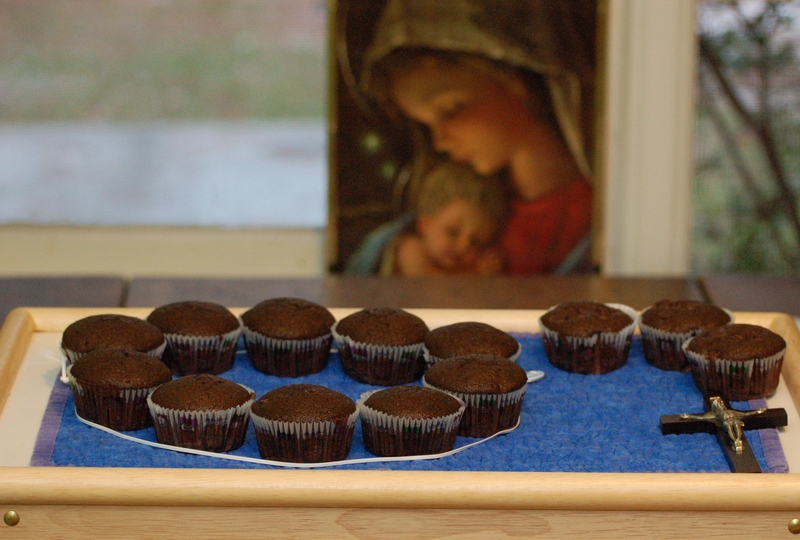 The kids learned of the Battle of Lepanto and we ate cupcakes with ice cream. I am not sure they understood it all as during the lesson about the battle, Karol kept asking to get a glass of water. They were thrilled, though, that there were seconds on the cupcakes tonight. We are a small family still, so instead of making 53 cupcakes, I decided to do just a decade. All he said was “Take a picture of me” and posed this way. No idea. 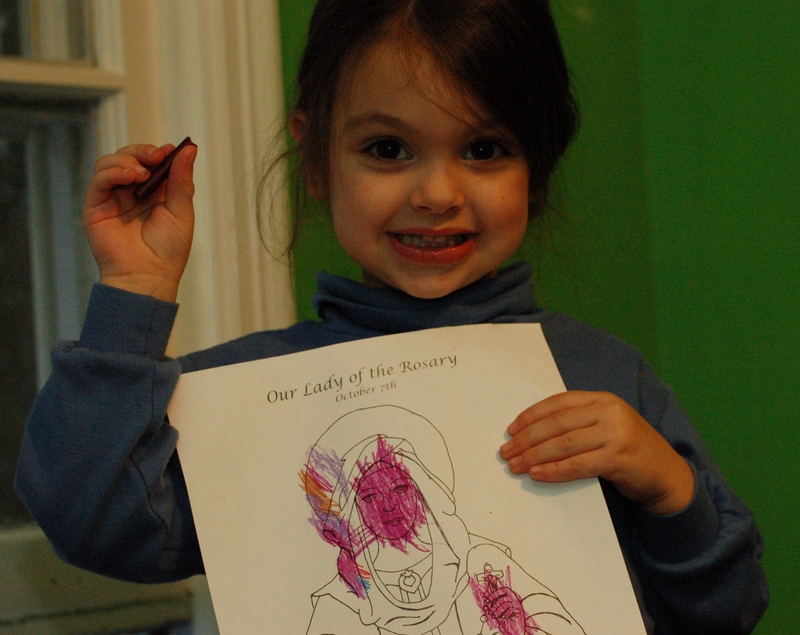 Margaret showing us her lovely picture of our Lady. I am excited for Cupcake Rosary, are you?